Friends! I’m part of another blog tour! 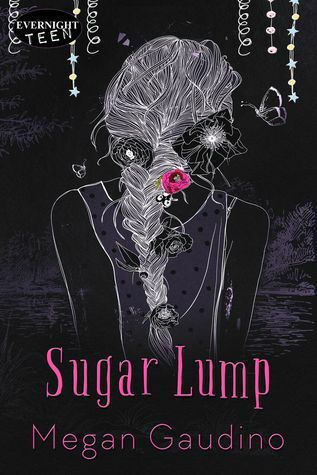 This one is for the super-fun-sounding book Sugar Lump, by Megan Gaudino. Read on to see an excerpt from the book, and don’t forget to enter the Rafflecopter giveaway at the end of the post! Cheesy scrambled eggs and buttered toast waited for me on a paper plate because we hadn’t gone shopping yet. It was something I could’ve gotten used to. I sat on the gold-topped bar stool, my curls tamed as much as they could be thanks to a large amount of product, sipping iced vanilla coffee from a glass bottle. I decided to wear my new black and white sweater with an old pair of jeans and wrestled with that decision while scanning the mostly empty living room. Except for all of Dad’s plants, it didn’t look like people lived here. If staying was the long term plan, we’d probably have to unpack—set up a home. “You look perfect, Cupcake.” Dad stood across from me, drinking from a mug he brought home from the bakery and finishing up his own breakfast. The way he ended his sentence led me to believe he had more to say but was saving it for later. Maybe never. “We could? If what?” I finished my coffee, and before I could even set the bottle back down, Dad took it from my hands and put it in the sink. “We should get going.” He looked at his wrist, despite the fact that there wasn’t a watch, and cleared the rest of breakfast by throwing the paper and plastic away. “Are you making more than you thought you would be?” And if so, why keep it a secret? I pushed back from my seat and blocked Dad’s exit from the kitchen. He tried to make his way to the door, but I took up most of the space in the narrow kitchen.